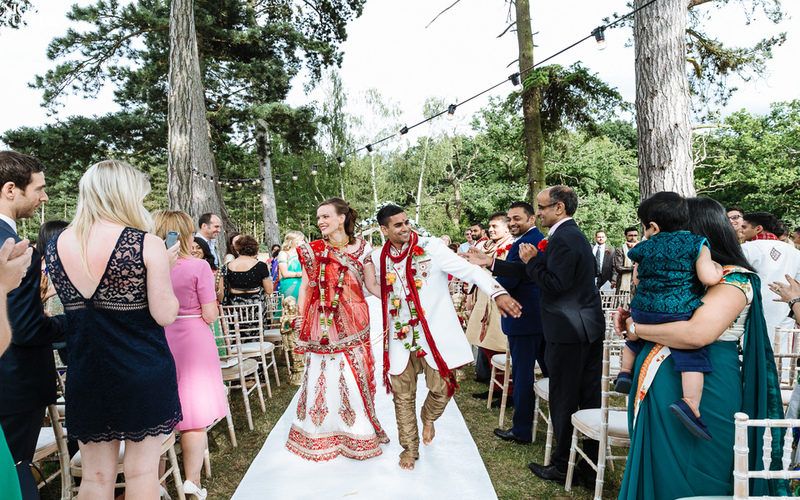 These are the words from today’s featured bride as she gives us the lowdown on how they met. 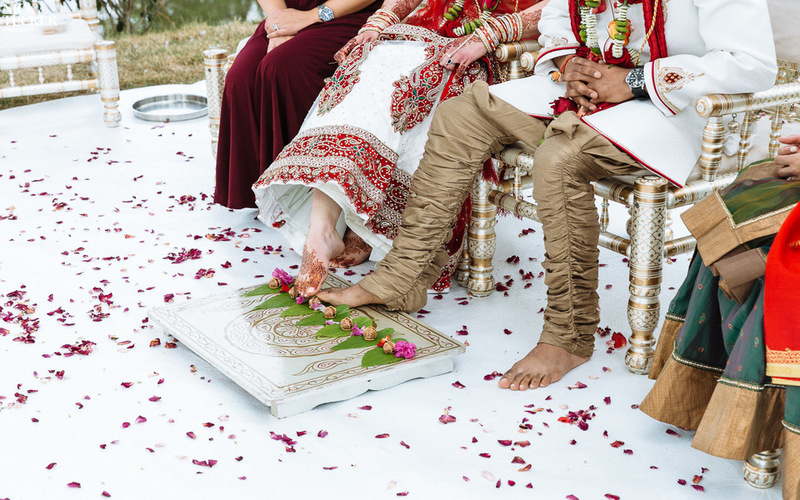 It is little gems of information like this that we discover about each couple and one of the reasons we love our job. 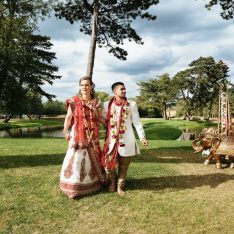 So after hearing that, all we wanted to know was how we could help make their wedding dreams come true? 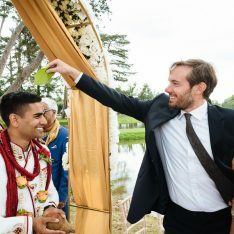 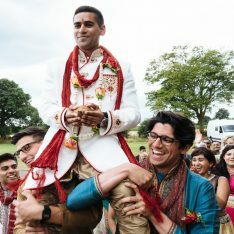 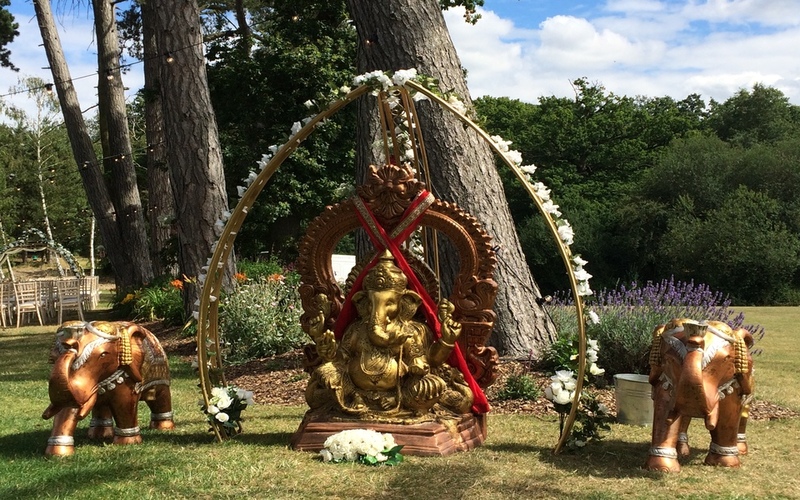 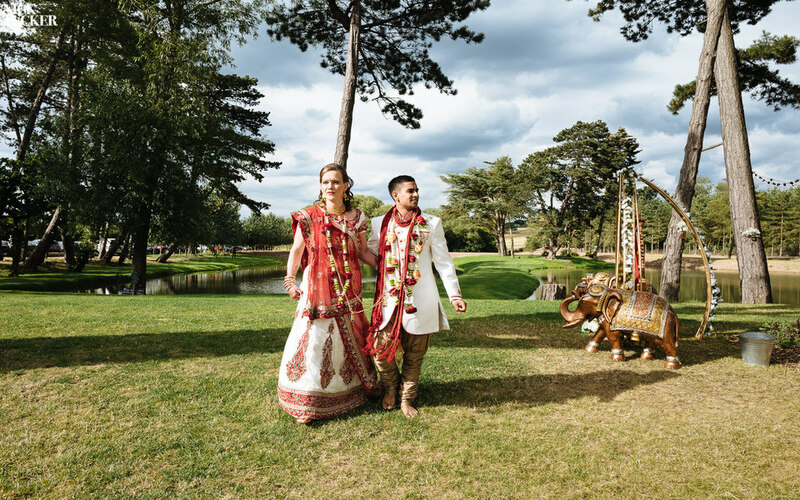 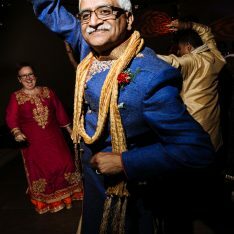 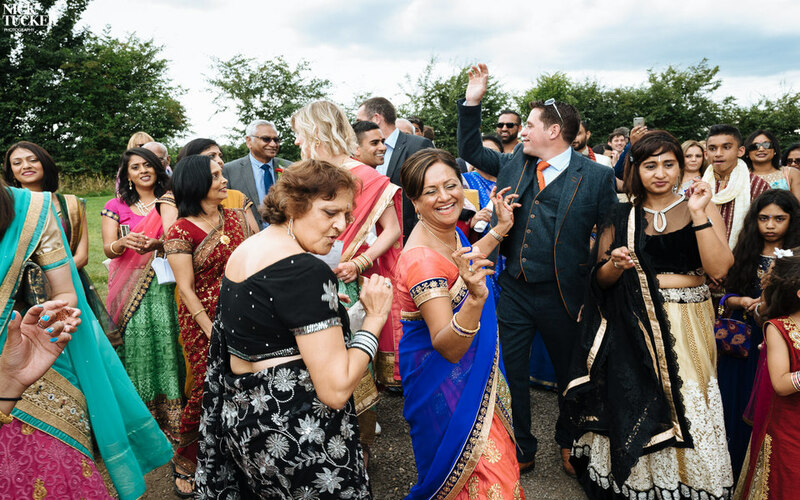 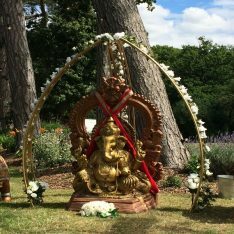 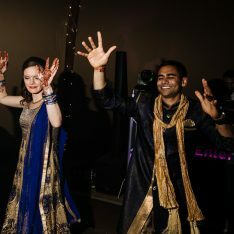 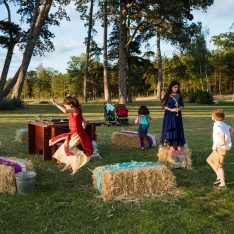 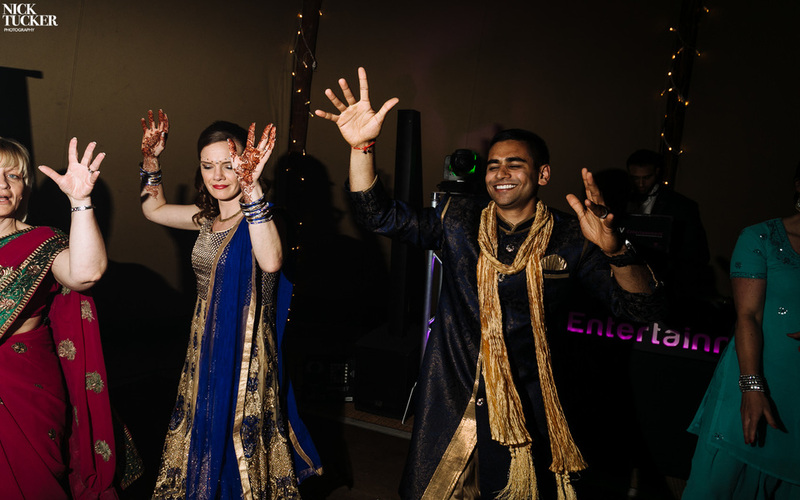 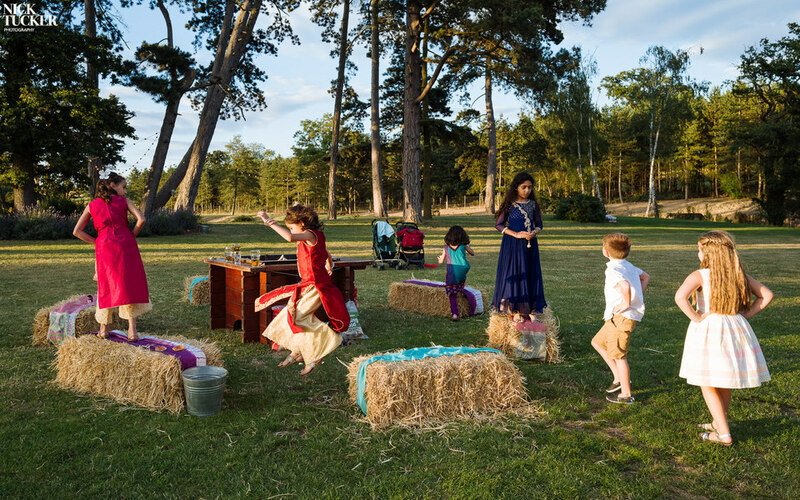 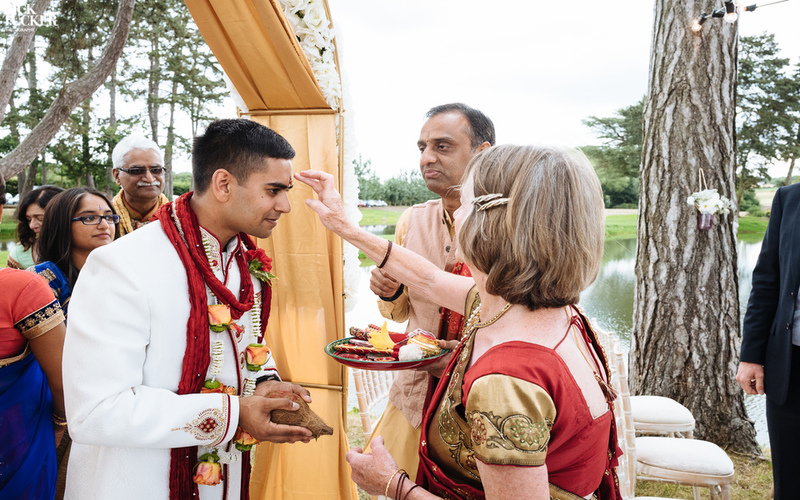 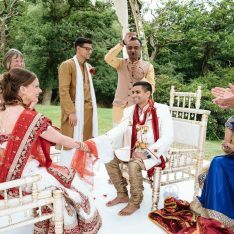 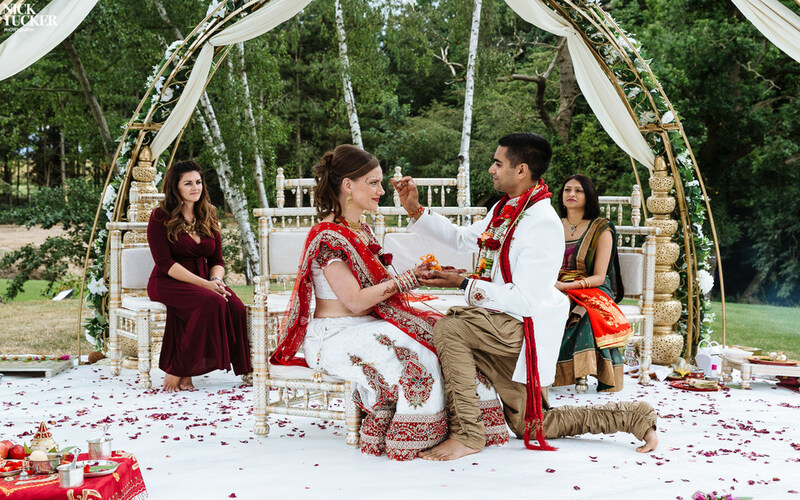 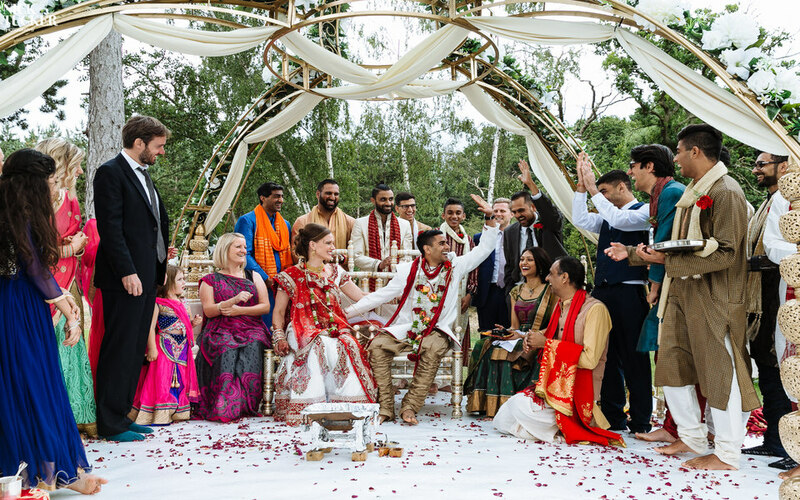 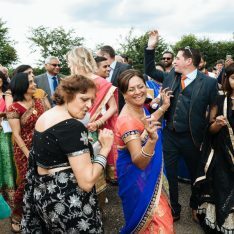 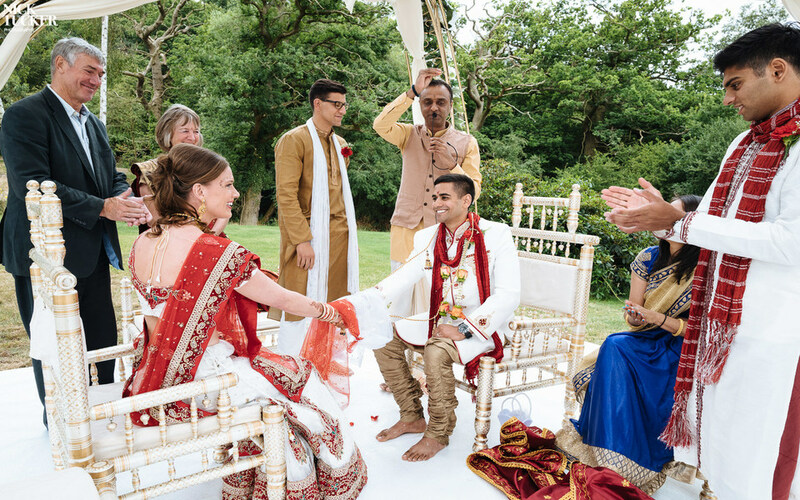 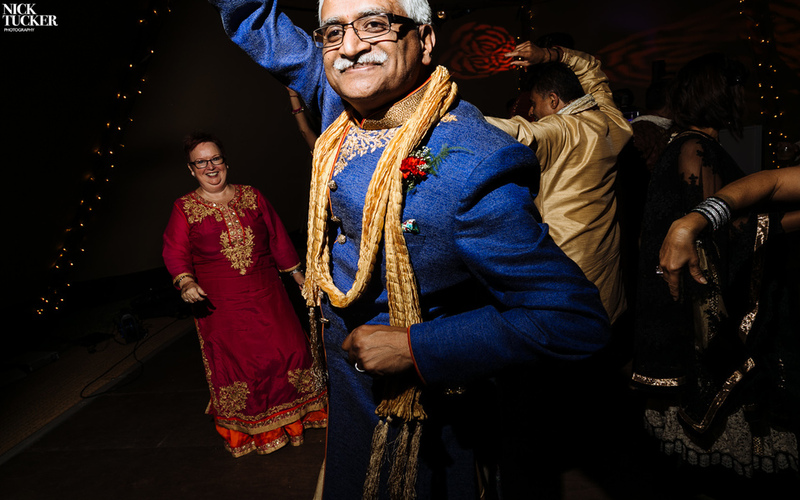 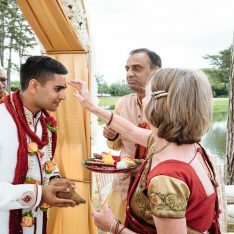 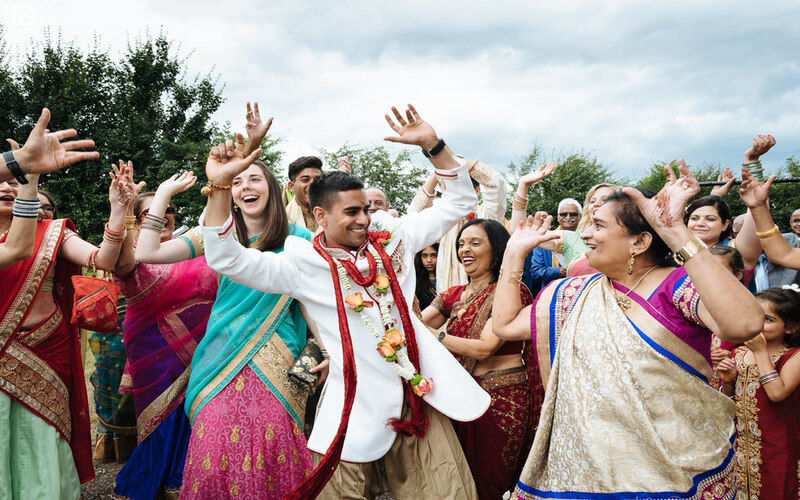 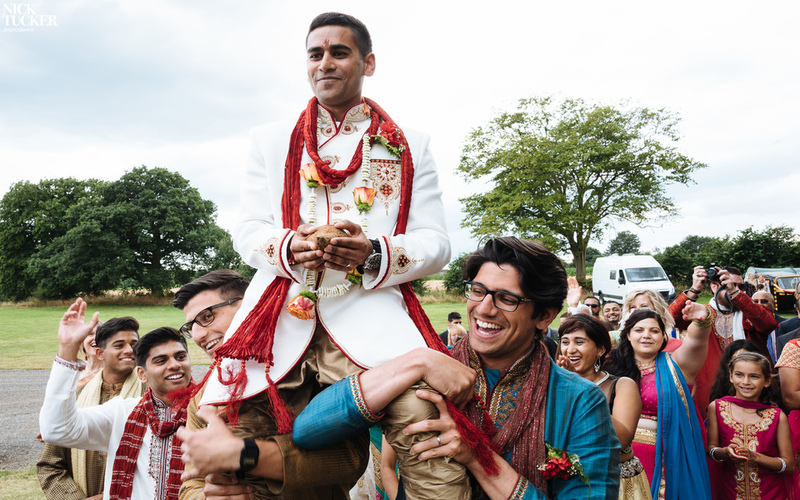 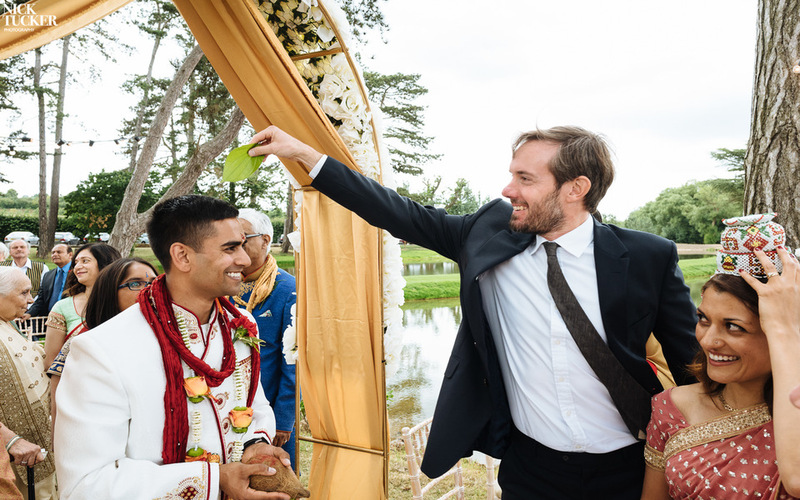 From ammunition tins in Afghanistan to an arable farm in Hertfordshire, welcome to an explosion of joy, happiness and colour – welcome to Anna and Bahv’s wedding! 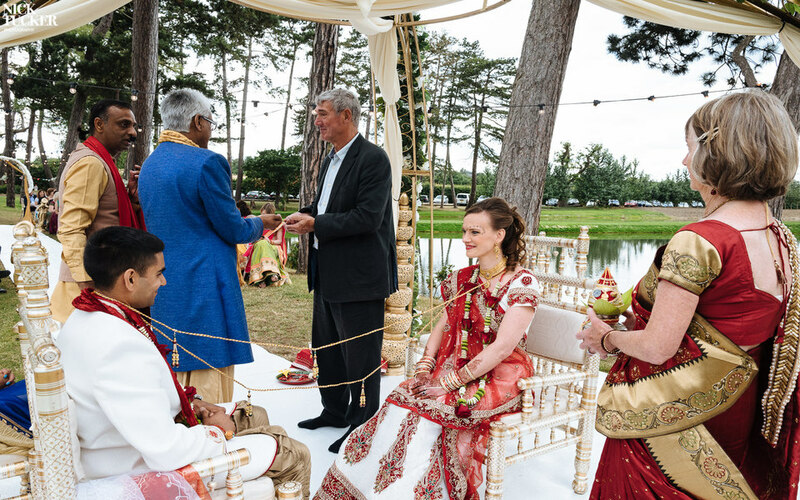 I could tell you about the pile of old saris that Anna’s Mum transformed into bunting. 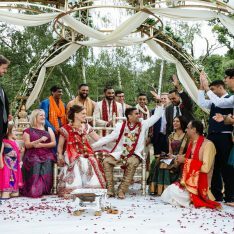 The ‘sari station’ where anyone without a sari was able to be transformed, ready to embrace the day. 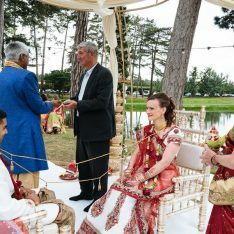 Or how about the huge birdcage that resulted in a rather awkward journey home on the Eurostar but when suspended from the tipi with flowers tumbling from within they knew it had been worthwhile. 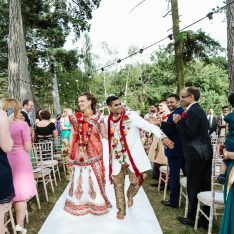 Lots of little nuggets of loveliness but really it was the pure J-O-Y and happiness that made the day. 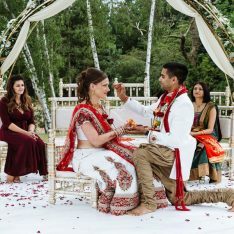 All captured so magically by Nick Tucker Photography and to be honest, who needs words when you have photos like these?